Join us for a fun, creative event at Canvas and Cabernet on Monday, July 17th, 2017. 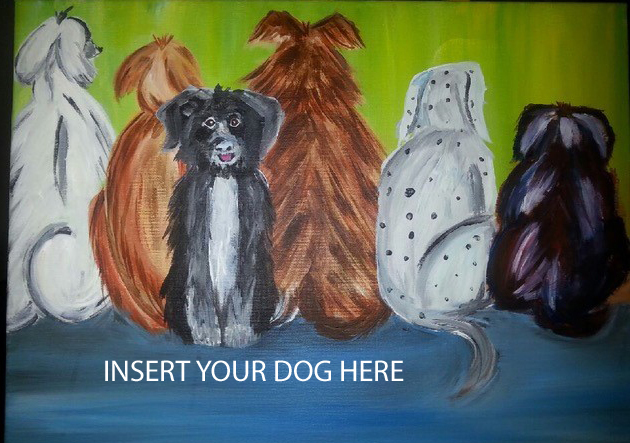 It is going to be a very special night where participants will learn step by step instructions to paint a portrait of their dog or a COPE Service dog. Please bring a photo of your furbaby or we can supply you with a photo of one of ours. Your creative workshop will include supplies, a glass of wine, appetizers and many laughs all while supporting a great cause. Tickets are $100 per person. Your take home painting, priceless!